Prized for its proximity to the waterfront, Country Club is as quiet as neighborhoods get in The Bronx. Country Club, for better or for worse, lacks a large commercial area to call its own. As a result, residents often take the short drive to Bay Plaza in Baychester, which usually to fulfill their needs. Its proximity toPelham Bay Park, Orchard Beach, and City Islandalso add to Country Club's attractive status. 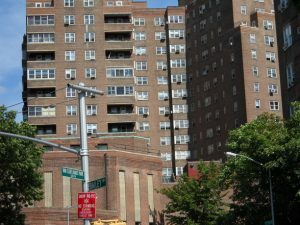 Country Club is one of the more exclusive/prestigious areas of the Bronx. Along Country Club Road (and the water) sits a series of exclusive (yet gorgeous) expensive mansion-like houses that are highly unaffordable and sit outside of the range of most Northern Bronx houses. This area used to be home to private beach clubs as well, but those have been shut down in recent years and turned into condominium type houses. There is also a boat launch along the water, which leaves residents in proximity to City Island by boat. Country Club is a great nabe to raise a family in, if you can afford it, and also a great place for seniors (with the Providence Rest Senior Citizen Housing Complex at the back of the nabe). OK so now onto my little anecdote about the nabe. If you take Jarvis Avenue (which is in Pelham Bay & cross the overpass from Pelham Bay to Country club) then make a left at the light toward Pelham Bay Park. Follow the length of the park until you have to make a right (or else you’ll run into the park), then take this road to the end by the water and make another right. THEN STOP. You’ve hit THE SPOT. On countless summer nights my friends and I have traveled down this road to either sit in our cars and chill and eat or get out to sit on the patch of grass that borders the street and the water. The spot gives you such a pretty view of City Island and of the Long Island Sound. At night it’s so peaceful in this area. I love coming here to just relax, let my mind wander, and to escape reality even for a short while. The area is hard to find though, but once you find it you’ll never want to leave!Helen C.
I suppose I should be frank and state, outright, that I do not like County Club. I don’t blame them for this. I have just never felt comfortable walking here, not due to safety concerns or anything, but because it just wasnt the place for me. It’s too quiet and not-Bronx feeling that it feels like a foreign place. But its pretty, at least.Paul N.
Like any prestigious country club, Country Club is an exclusive neighborhood. 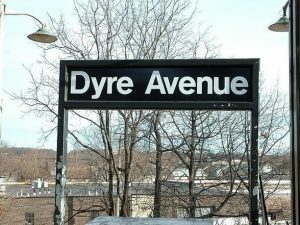 Located on the shores of Eastchester Bay and Long Island Sound and bordered by the Bruckner Expressway, this neighborhood remains cut off from the rest of the borough. There are few public transportation options, save for the Bx8 bus, after the Bx14 was recently cut. The neighborhood is extremely quiet except for the occasional “roar” of the bus engines. Elderly residents are often seen sitting around, having lazy afternoon conversations over coffee. There are a few gourmet delis and pizza shops, but other than that, few restaurants. 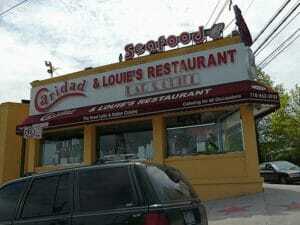 One must travel to Throgs Neck or Pelham Bay for more dining options. Pelham Bay Park is nearby, offering residents a place to walk their dogs, practice tennis, or enjoy a local high school’s baseball games. There are also boat ramps and luxury condominiums on the water, which further render Country Club as quite exclusive. 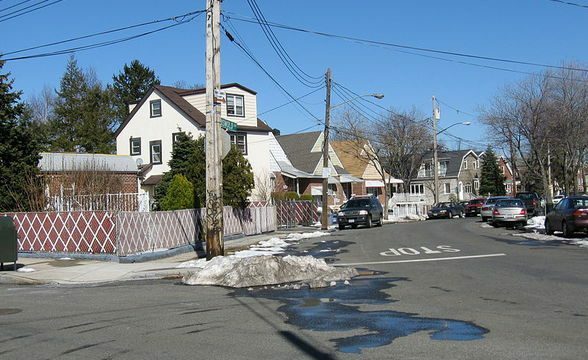 Public schools and institutions can be found in neighboring Pelham Bay and Throgs Neck, therefore, a car in this neighborhood is almost required. The neighborhood is comprised of long-standing families, and therefore, it will require some adjustment for a new family into the community. This neighborhood is excellent for a family with lots of money and the desire to reside in a quiet, isolated neighborhood.